“USS Macon Passes North of New Orleans, Over Lake Pontchartrain. 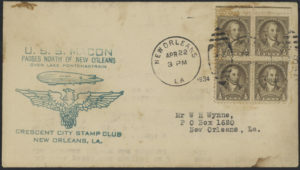 Crescent City Stamp club, New Orleans, La.” Postmarked April 22, 1934. 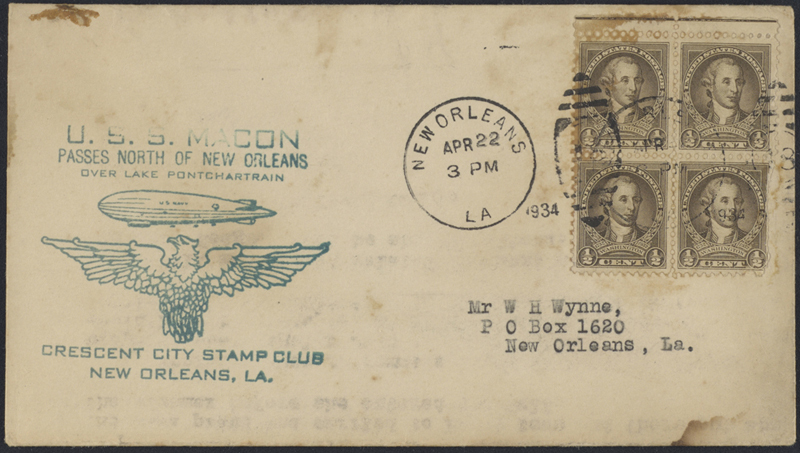 The Macon was a US Navy dirigible that was lost in a storm off the California coast in 1935. It was a sister ship to the USS Arkon and both the Macon and Akron still hold the world record for largest helium-filled rigid airships.